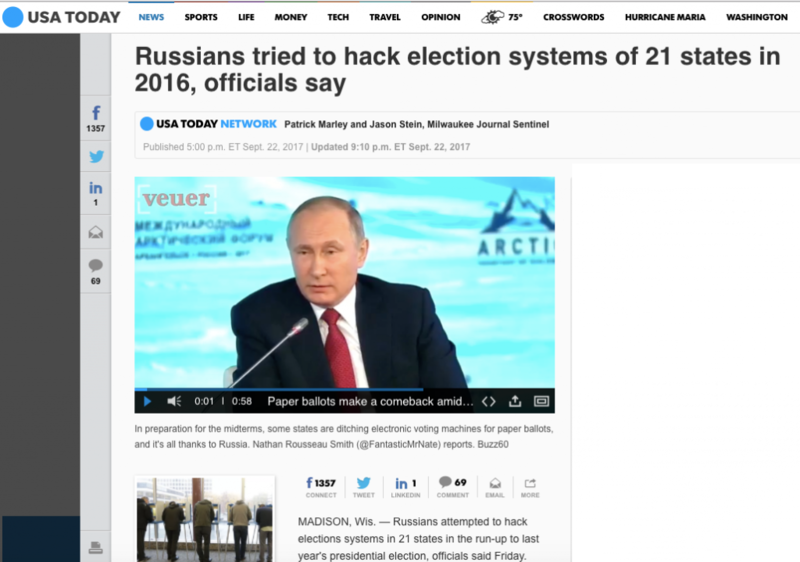 Now we have the “Russia-hacked-the-voting-systems-of-21-states” to add to this trash heap of debunked official claims. Is this a healthy climate? 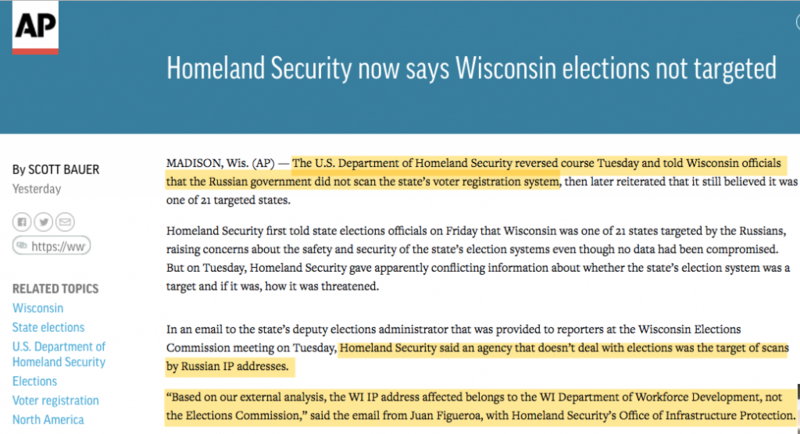 DHS didn’t bother to tell the 21 states Russia tried to hack during the election until this afternoon. Plot hole: if Trump had wanted to keep Flynn, he could have kept him and rode out the media firestorm. Blogger The_Real_Fly has suggested there was either a prearranged plan for Flynn to make an early exit, or Trump did an about-face, determined Flynn was not a good fit, and decided to get rid of him. A subplot hole: Flynn, an intelligence veteran, undoubtedly knew his phone was tapped. Either he knowingly said what he said to set a trap, or when the Washington Post story surfaced, Trump saw his chance and got rid of Flynn. He has demonstrated a cold-blooded capacity to quickly cut his losses: “You’re fired!” It’s telling that Flynn’s replacement, H.R. McMaster, authored Dereliction of Duty: Lyndon Johnson, Robert McNamara, The Joint Chiefs of Staff, and the Lies that Led to Vietnam. This looks like a classic Trump double down, replacing a maverick the Deep State didn’t like with a bigger one they’ll like even less. It’s not what politicians and bureaucrats do sub rosa that poses the biggest danger to the country and the world, but what they do in broad daylight. However, there’s no denying that Washington is the world capital of sub rosa—the unethical, immoral, and illegal. The saga surrounding the Democrat supporting, leftwing Fusion GPS, just took another major turn. At a Senate Judiciary Committee hearing earlier this week the nation learned that the Democrat-linked opposition research firm, FusionGPS, was also linked to someone else. We realized this several weeks ago, and we reported it to you, when we learned that the Russian lawyer who met with Donald Trump Jr. was actually an employee of FusionGPS and that she had entered the country under a special dispensation from the Obama administration and that she was seemingly connected to Obama’s top Russia official, Michael McFaul. The realization that the Russian lawyer, Natalia Veselnitskaya, was not just some lawyer but an employee of a Democrat research firm was curious. Even worrisome. 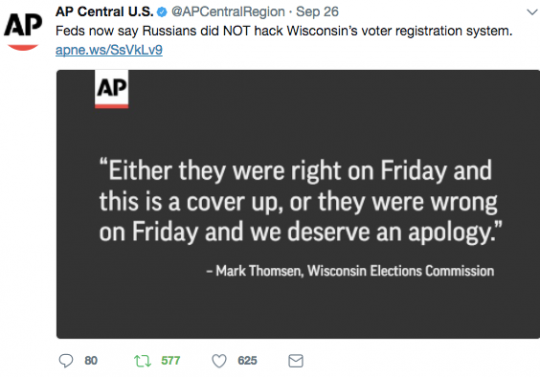 Now we know even more, and it seems more likely than ever that the Russian government was purposely attempting to sow the exact chaos we are currently seeing in our nation. At the Senate Judiciary Committee we learned that FusionGPS, the folks who invented the Trump Dossier, were actually paid Russian agents. SEN. LINDSEY GRAHAM: This whole story reads like some kind of novel that nobody would buy, it’s got to be fiction, but unfortunately maybe it’s true. Let’s just break down sort of why you’re here. You believe that Fusion GPS should of registered under FARA, because they were acting on the behalf of the Russians? SEN. GRAHAM: So, I just want to absorb that for a moment. The group that did the dossier on President Trump hired this British spy, wound up getting it to the FBI. You believe they were working for the Russians? SEN. GRAHAM: But, the Fusion GPS products apparently as they hired a guy to look into Trump? Browder further explained that the Russian government also worked with the Democrat firm to push “fake news” to the nation. So. The same people who were working for the Democrat Party, created the fake Trump Dossier, spread fake news about the President, were being paid by THE RUSSIANS to do so. Research 93 society connections relating to palantir, dnc, political interests, Donald Trump. Read the new Profiling Project full report into the murder of DNC analyst Seth Rich. It argues the murder is most likely a hit or serial murder, not a robbery. If there were any actual crimes committed during the 2016 presidential election, then the origin of those crimes can be traced back to a single piece of hardware sitting at the DNC which housed the emails that were stolen and subsequently shared with WikiLeaks. 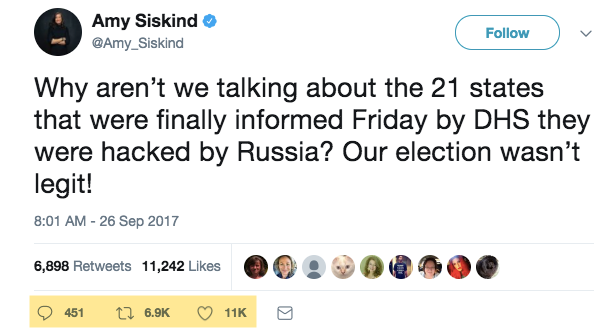 Ironically, despite the fact that they’re apparently sitting on perhaps the most critical evidence available to prove that Russia “hacked the election,” an allegation that has been hammered 24/7 on CNN for the better part of a year now despite a lack of actual tangible evidence to support the allegation, the DNC has completely refused to cooperate with the FBI, the Department of Homeland Security and/or Robert Mueller’s independent investigation. Which begs one very simple question, why? As the Washington Times points out, a cybersecurity firm called CrowdStrike, is the only organization that has been allowed by the DNC to inspect their email server…an inspection which quickly resulted in the very ‘convenient’ conclusion that Russia was the culprit of the hack…even though minimal details supporting that conclusion were ever revealed to authorities. Despite being lampooned by the mainstream media with the all too common label of ‘conspiracy theory’, anyone who has studied the facts behind Seth Rich’s murder can smell something fishy. Only the alternative media and Sean Hannity have been outspoken about it; with Hannity recently proclaiming that he has been making progress in the investigation. And now, more interesting facts have just emerged. For a brief review of why there is so much interest in Seth Rich’s death, recall the news from August of 2016. At first glance, upon learning of Seth Rich’s death,“conspiracy theorists” couldn’t help but notice the rather obvious absurdity of how police labeled his murder a botched “robbery,” when Rich hadn’t been robbed of anything. At the time Rich’s body was discovered, he still had his wallet, money, watch, cell phone, etc. He was, however, beaten, and then shot in the back, neither of which is consistent with a typical “robbery,” and certainly not a “robbery” where nothing was taken. In addition to the decision by police not to investigate Seth Rich’s death as murder, what really drew the attention of all the crazy “conspiracy theorists” was the fact that at the time of his murder, Rich was one of five former Clinton “associates” who had become Clinton “adversaries,” all of whom died under very mysterious circumstances over a six-week span leading up to the DNC convention. Looking at both circumstances together, it’s hard to fathom how any well-trained, logical member of law enforcement, would not find any need to investigate the potential for possible ties between the two. When this story first broke, not only did the police see no need to investigate possible ties between the two circumstances mentioned, but when people did start asking questions, terms like “conspiracy theorist” were thrown around, and police refused to investigate further. In the following video, Right Wing News looks at the recent discovery that Heather Podesta, sister to John Podesta (Hillary Clinton’s campaign manager), served on the board of the Washington DC Police Foundation together with the police chief; the chief who served at the time of Rich’s murder. People have also discovered that comments on Rich’s Reddit account have also been altered to better fit the narrative. And finally, rumors are swirling that the corporate higher-ups are ready to hand Hannity the pink slip very soon. More coincidences? Not likely! 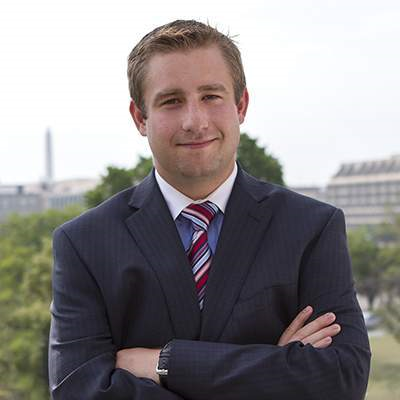 It’s been close to a year since Seth Rich, the 27 year old computer expert who worked for the DNC, was murdered – shot twice in the back without anything of value taken from him. Rich was found alive and in shock before he bled out – his death ruled nothing more than a botched robbery. Many believe Rich was a victim retaliation for being the source who provided Wikileaks with a trove of DNC emails. Rumors were fueled by the odd circumstances surrounding his death, the sudden retirement of D.C. Police Chief Cathy Lanier five weeks after the murder, and an email John Podesta sent to Hillary’s inner circle about making an example of a suspected leaker.